R C Majumdar was a historian and professor of Indian history. This book is a result of his extensive research and travels in South East Asia. The author explores the influence of Bharatiya culture in Malaysia, Indonesia and Cambodia in a lot of detail and depth. 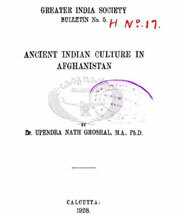 The author tales you back to a time before the Mohammedan conquests when Afghanistan was a integral cultural part of India and the contact between the two areas was alive. It covers the cultural influences that Bharath has had on that region. Percy Brown (1872–1955) was a renowned British scholar, artist, art critic, historian and archaeologist, well known as an author on Indian architecture and art, especially for his studies on Greco-Bactrian art. This book is an exhaustive work on Nepal in the early 1900s including its people, temples, villages, history, culture, sketches and festivals. Arnold Henry Savage Landor (1865 – 26 December 1924) was an English painter, explorer, writer, and anthropologist. He travelled to Nepal and Tibet, telling of his experiences in two books: In the Forbidden Land (1898) and Tibet and Nepal (1905). In 1783 Samuel Davis, a young Bengal civilian later to become a Director of the East India Company, accompanied Samuel Turner’s embassy to Bhutan as a member of the official party. 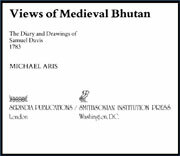 The xquisite drawings and watercolours made by Davis during the journey, the story of the mission, the topography and history of Bhutan and discussions of Lamaism as well as Llamas from the subject of this absorbing and hard to find book …. a scholarly and engaging account of the first contact with this ancient Kingdom. I was engaged for an year on my journey to the King of Cabul court, and another year elapsed before the mission was finally dissolved. 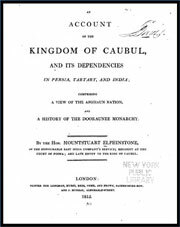 The whole of that period was employed in such enquiries regarding the kingdom of Caubul as were likely to be useful to the British government. The first part of the time was spent, by all the members of the mission, in the acquisition of general information but during the remainder, a precise plan was arranged among the party, and a particular branch of the investigation assigned to every gentleman who look a share in it. 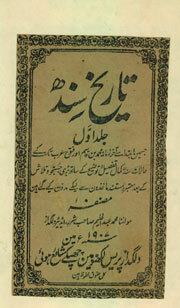 The Chach Nama (Sindhi: چچ نامو‎; Urdu: چچ نامہ‎; “Story of the Chach”), also known as the Fateh nama Sindh (Sindhi: فتح نامه سنڌ‎; “Story of the conquest of Sindh”), and as Tarekh-e-Hind was Sindh (Arabic: تاريخ الهند والسند‎‎; “History of India and Sindh”), is one of the main historical sources for the history of Sindh in the seventh to eighth centuries CE, written in Persian. 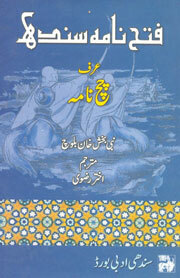 It contains an introductory chapter about the history of Sindh just before its conquest by the Arabs. The body of the work narrates the Arab inclusions into Sindh of the 7th-8th centuries CE. Thus it chronicles the Chacha Dynasty’s period, following the demise of the Rai Dynasty and the ascent of Chach of Alor to the throne, down to the Arab conquest by Muhammad bin Qasim in early 8th century CE. The prolific Urdu author and journalist Abdulhalīm Sharar (1860–1926) was born in and spent much of his life in Lucknow (in present-day Uttar Pradesh, India). He produced biographies, historical novels, romantic novels, histories, essays, and other works. Tarikh-e-Sindh (A history of Sindh) is one of Sharar’s major historical works. Permanent settlement in Sindh, a province of present-day Pakistan, dates back to about 7000 BC. The Indus Valley civilization, one of the world’s oldest cultures, flourished in Sindh in 3300–1750 BC, rivaling those of Egypt and Mesopotamia in size and sophistication. Sindh became a Persian province in the sixth century BC, and was conquered by Alexander the Great in about 326 BC. In the ensuing centuries, Buddhist Greco-Bactrians, Scythians, Persians, and Rajputs held sway in the region. In 711 AD, the Umayyad general Muhammad bin Qasim conquered Sindh with a force of 20,000 cavalry and five catapults. The Arab conquest was followed by widespread conversion to Islam, the building of Mansura as the capital, and development of a port city at Debal. Muslim geographers, historians, and travelers over the centuries wrote about or visited the region, sometimes using the name “”Sindh”” for the entire area from the Arabian Sea to the Hindu Kush. 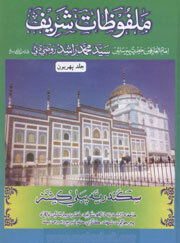 Translated into Sindhi by Mufti Muhammad Qasim Mashori. 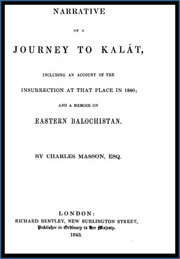 A brief account is given in the following pages of the revolt in Balochistan, an episode merely of the great political drama enacted west of the Indus, but deserving attention, as the precursor of the catastrophe subsequently developed at Kabal. The volume concludes with a Memoir on Eastern Balochistan, which, however imperfect, may be useful, if found to increase the knowledge of that country now possessed. 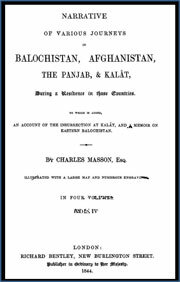 Having despatched for publication in England a variety of manuscripts, in the early part of 1840, I found myself at Karachi, in Sind, as I supposed free to move where I pleased; and with reference to farther literary and scientific projects I determined, with the unemployed materials in my possession, to VOL, IV. B 2 MOTIVES OF JOURNEY.return to Kabal, and the countries to which they related, judging I could there arrange them for the press with accuracy and advantage. Abu ʾl-Qasim Ferdowsi Tusi (c. 940–1020), or Ferdowsi, was a Persian poet and the author of Shahnameh (“”Book of Kings””), which is the world’s longest epic poem created by a single poet, and the national epic of Iran and the Greater Iran. Having drafted the Shahnameh under patronage of the Samanid and the Ghaznavid courts of Iran, Ferdowsi is celebrated as the most influential figure in Persian literature and one of the greatest in the history of literature. 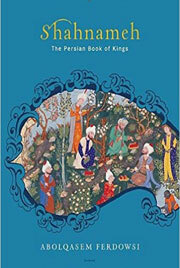 He is widely regarded as the greatest poet in the Persian language. He was called “”The Lord of the Word”” and “”The Savior of Persian Language”””. 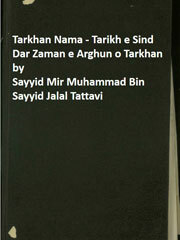 The Tarkhan nama is a genealogy and history of Arghuns and Tarkhans compiled from Tarikh I Masumi and some other sources by Syed Jamal Shirazi in 1644 AD. Tarikh I masumi gives the history of Sindh from the days of its conquest by Arabs in 8th century to the times of Akbar in 16th century. 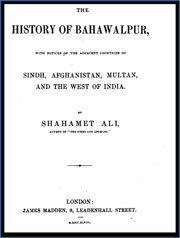 At the present time the territory of Bahawalpur is bounded on the East by British possessions of Sirea and on the west by river Indus; the river Garra forms its Northern boundary and Bikaner and Jaisalmer are its Southern frontier. The work of which this is an extract is the family annals of Nawab Bahawal Khan. ‘Hindu colonies in The Far East’ is written by R.C. Majumdar, a prominent historian. R.C. 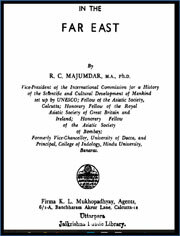 Majumdar tried to include all the essential facts of the, Hindu colonies in the far east beaning upon the history and culture of the ancient Hindu colonies in the Far East and throws light on the part played by India development of South in the cultural development of South East Asia for a period of more than 1500 years, in this book . 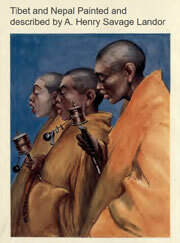 In this text he tried to show incorporated ancient Indian cultural and political effect on the far east. Majumdar invigoratingly proved that in the far east there are Indian colonies. 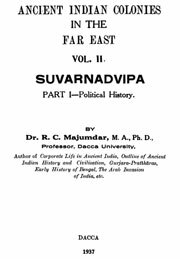 As, Indian cultural and political influence was prevalent in the ancient Suvarandvipa and Champa, Cambuja Burma, and also in the Malay peninsula or the peninsula of Malacca, long narrow strip of territories which forms the most southerly extremity of the mainland of south east Asia . Majumdar tried to prove that how Indian colony established in the far east. He argues that the missionary zeal of the Brahman and Buddhist and trade merchants went there, and many of these people had settled in the far east. However, many of these people married woman in the localities and the influenced their superior culture. Gradually, resulted in the Hinduisation of the society. Also, added by active missionaries propaganda, gradually it helped to spread Hindu religion, art and culture and social ideas in all spheres. Some adventurer emigrants seized the regional political power and established a Hindu kingdom through the military.